Chino HillsState Park has been created with 33 separate acquisitions, all by willing sellers. It is the most complicated set of acquisitions in State Park history. The project has received the support of democrats and republicans alike in four counties for 35 years. To date, the State has spent over $122 million to protect lands as Chino Hills State Park. As of February 2015, Chino Hills State Park has 14,102 acres in its ownership. 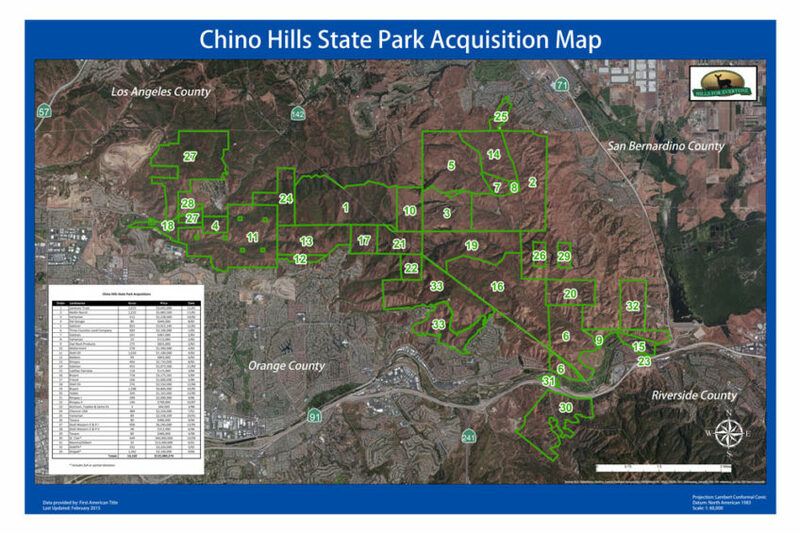 Download the Chino Hills State Park Acquisition Map as a PDF.